It was definitely yummy! My original plan was to make a pesto vinaigrette, but my kid was so excited about the pesto he made that I really wanted to try it. 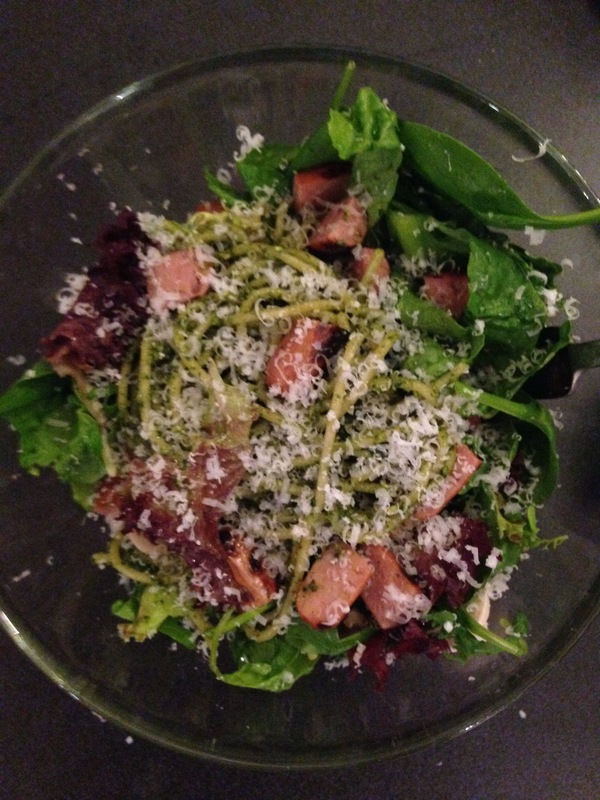 Your pesto dressing sounds lovely–I like the lemon juice idea, must try that.